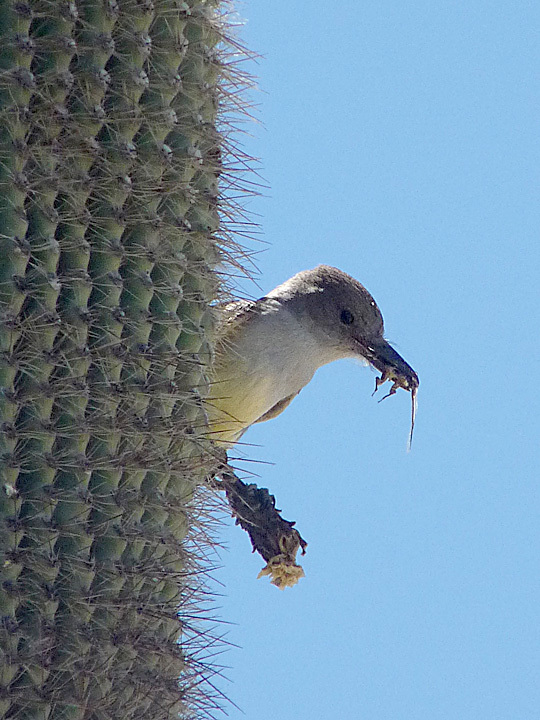 Brown-crested Flycatcher at its nest hole in a saguaro cactus at the Arizona-Sonora Desert Museum west of Tucson, AZ. June 22, 2010. Digiscoped.